Ready to take your small or midsize business to the majors? Here in the home of the major league bat, Valpak of Kentucky has been helping businesses of all sizes reach new customers and turn them into loyal fans. We do it through our direct mail model, our digital advertising and our intimate knowledge of the Louisville area. With Valpak behind you, your business better get ready for the limelight. What makes our services more affordable than flinging flyers, committing to costly TV spots or flat-out going door-to-door? Our shared direct mail marketing allows you to split the cost of mailings. You can mail to as many as 220,000 households in the Louisville area affordably. Valpak of Kentucky works well for all kinds of businesses including automotive, bars and restaurants, boutiques, home improvement, personal services, general services, shops, health, medical and many others. To capture how consumers react to your campaign and offers, Valpak reports on each component of your marketing campaign. You can receive daily, weekly and monthly reports on your ads’ calls, clicks and leads. Valpak of Kentucky can open the door to the households in Louisville, Bowling Green, Paducah, Frankfurt, Elizabethtown, New Albany, Jeffersonville and other cities around the state that you want to target. Call our local representatives today to find out how we can help grow your business. BOB DRIVER, ACTION OVERHEAD DOOR, INC.
For specific dates and coverage, contact your Valpak of Kentucky representative. 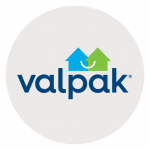 Valpak of Kentucky is an independently owned Valpak franchise.